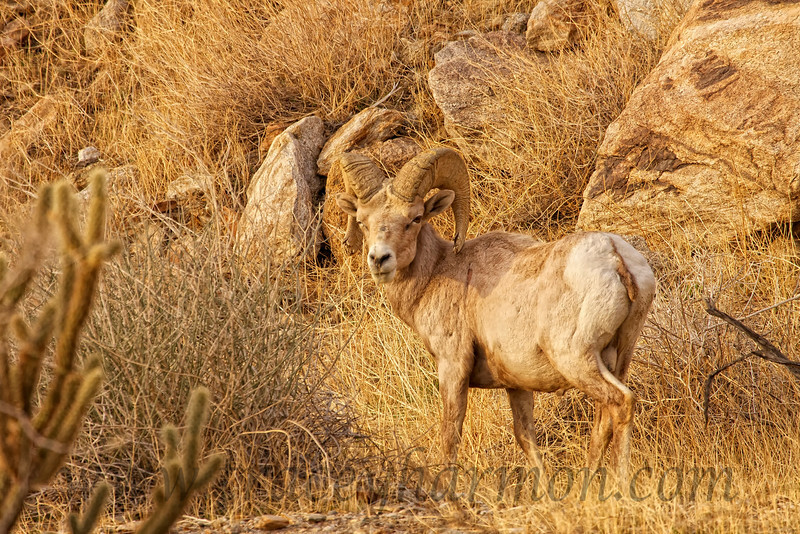 Note the wide forehead, the massive horns, and the broomed tips of the horns; this is an old Desert Bighorn ram. A ram who has made it through maybe a dozen hot, dusty, dry summers. One has to give credit to the tenacity of these desert dwellers.